With the onset of Monsoons comes the desire to get out of the city hustle and embrace some nature. And moreover, everyone deserves a once in a while detox! A detox weekend is no more only about having that kale and spinach smoothie or drinking hibiscus tea, it’s about wellness encompassed with luxury. Spread across 150 acres, a resort can’t get cozier than this! Famous for their luxurious chalets, mud and tree houses, log cabins and tents, Anchaviyo is a promise of luxury, privacy and exclusivity. Nestled between a rich cluster of mango, chikoo and guava trees, every detail of the retreat has been carefully nuanced to makes sure to pamper your senses. 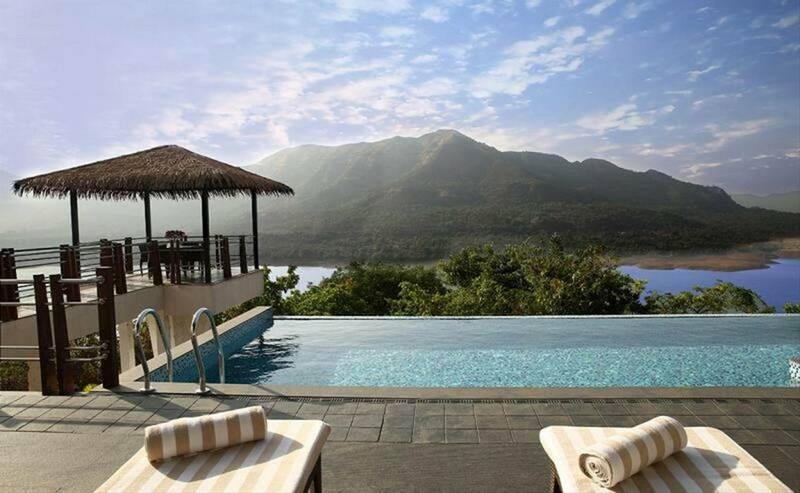 We’d recommend Anchaviyo in Palghar for a one/two-night stay. Shilim. The finest quality of wellness, where many land up for a personal treat or simply a long weekend. It’s where you can unwind from the ordinary. This upscale wellness property is the designed for healing. Make sure to stay in a forest villa, nestled atop a mountain and is surrounded by a beautiful forest. You’ll find treatments like an infrared sauna, acupuncture, moxibustion, colon hydrotherapy and a special detox diet. Known for it’s wellness programs, you can one experience the best of the best programs curated by the team of wellness experts – Ayurveda and Naturopathy Doctors, therapists, Yogic gurus, etc. And if all of this isn’t enough, you can also learn some DIYs through a culinary experience at Hilton Shilim Cooking School. 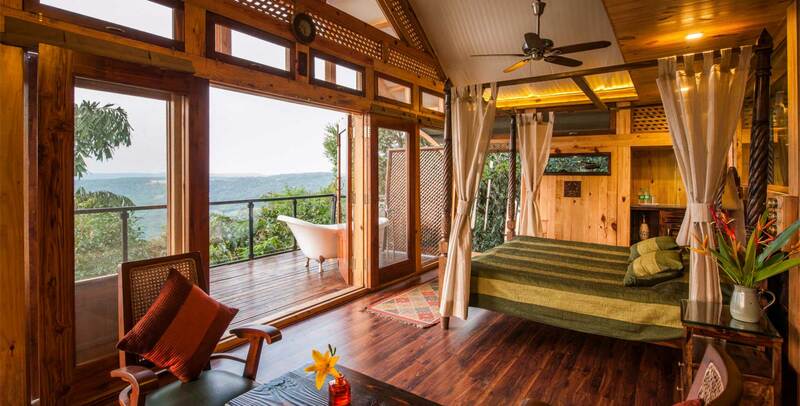 The Machan is an eco-resort with unique tree houses that are 30-45 ft above the forest. These houses offer complete serenity to those looking to escape into nature. 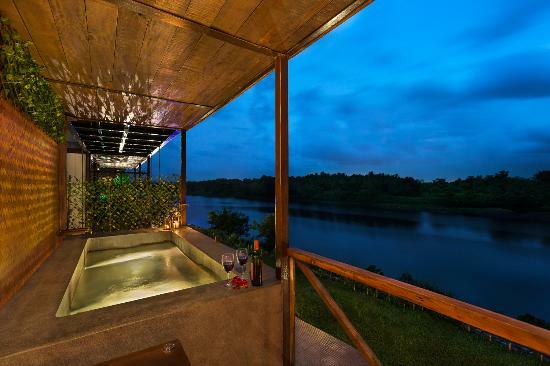 Each Machan has been carefully designed to minimize any impact on its natural surroundings while offering spectacular views and a luxurious stay. Located in Jambulne, one of 25 biological hotspots of the world, Machan is a resort you must visit when you imagine a day without internet, mobile network or a television. Could there ever a better idea than spending your weekend sipping wine with a view! Sula Vineyards opened its second resort in Nashik, and it’s one with a Tuscan twist. The Source, a 23-room boutique hotel whose architecture channels a Tuscan spirit–cobbled courtyards, arched doorways, high ceilinged rooms with art on the walls, floral patterns running up curtains and across beds. Surrounded by the Deccan hills and stretching to the Gangapur Lake, at stay here can soak you into an ultimate nature experience! For the adventure junkies, make sure to rent the resort bicycles and amble through the vineyards. Totally recommended for a monsoon getaway, Atmantan is a beautiful stay not too far from Mumbai. This resort offers treatments and wellness programs to any kind of lifestyle problems. Their special ‘farm to table’ cuisine adds to the whole experience, where you can savour delicious food cooked with fresh ingredients sourced from local farms. We’d love to hear what you did any such exciting weekend. Make sure to share your experiences with us in the comments below!